Working with the W family was so much fun! 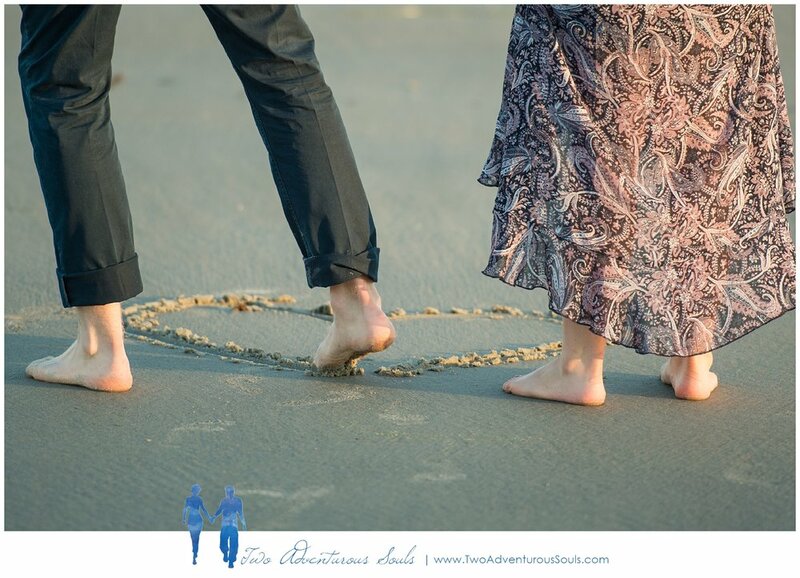 I found out that earlier in the morning their daughter was proposed to in a surprise proposal right on Higgins Beach! 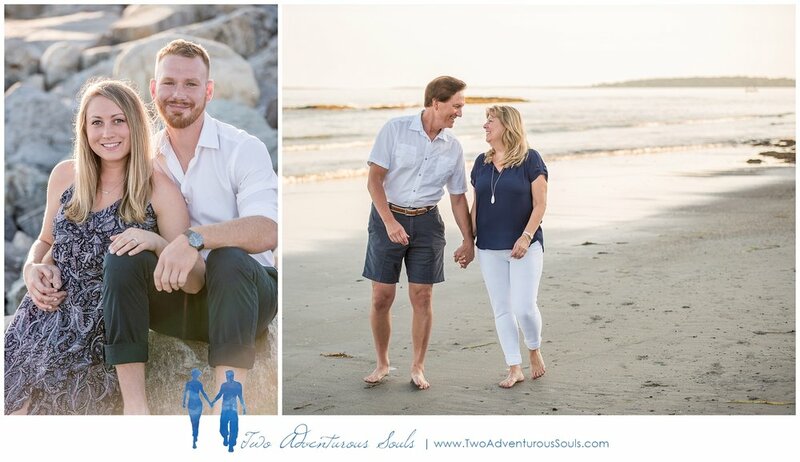 This made their Higgins Beach Family Portraits even more special as I was able to capture some of those really excited moments of them just getting engaged! 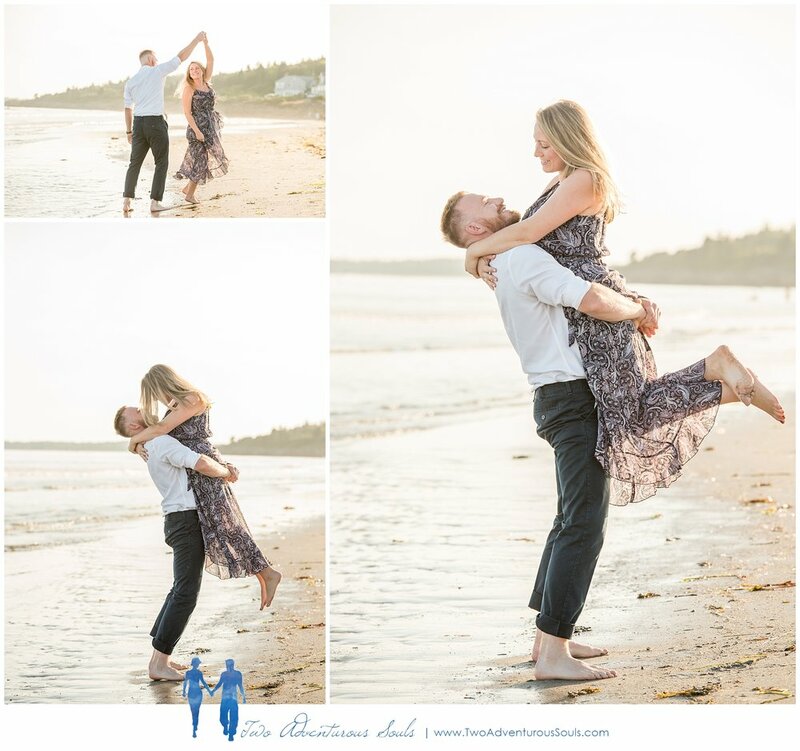 It was a little earlier in the evening so we strolled along the beach to find an empty patch and used some fun rocks at low tide to pose everyone on. From there we walked to the other end of the beach where the rocks are exposed at low tide, they make for such fun reflecting pools and textures! 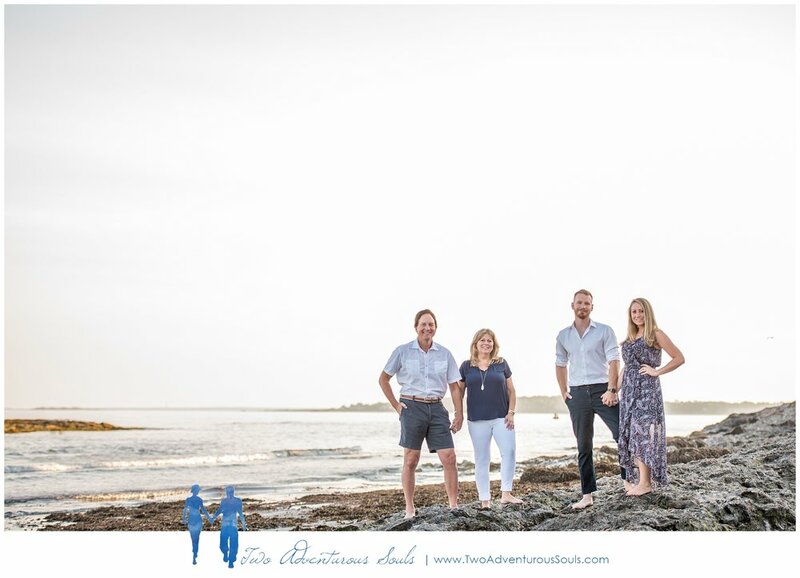 I love these Higgins Beach Family Portraits and can't wait to work at the beach again this coming summer - we just need some warm weather!! Sometime I lay on the ground in the water, but I love these reflection shots!